Now We are 6, Now our own BBC TV Series, Now we are famous! Another year of over 100 appearances. 19th: John Peel Session. See 'BBC sessions' page for more details. Aired on the 26th. 20th Bob Harris BBC Session. See 'BBC sessions' page for more details. Aired on the 11th March. 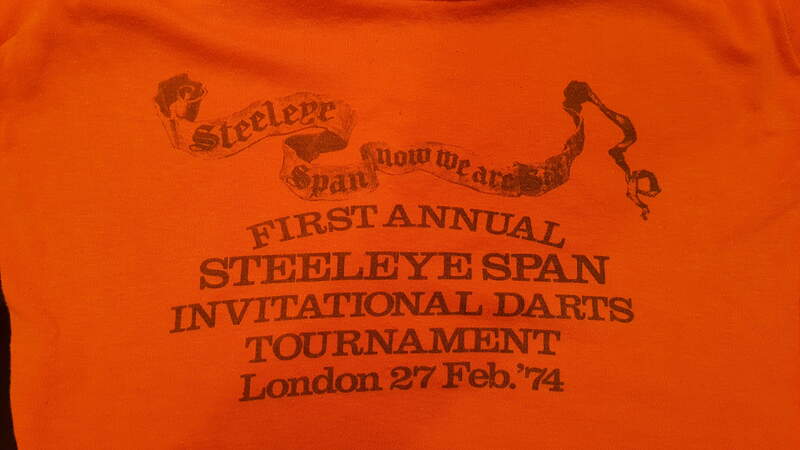 27th Feb: 1st Annual Steeleye Span Invitational Darts Tournament ! 1st: SIXTH ALBUM: Now we are 6. Arguably the bands breakthrough Album as it becomes the biggest hit so far and reaches No. 13 on the UK Charts on the 23rd March. It has the debut of Nigel Pegrum on drums and it famously features David Bowie on Sax on 'To Know Him is to Love Him'. Although seemingly out of place the song reflects the 'Rockers Encore' that the band was playing at the time. The US LP version of 'Thomas the Ryhmer' is a 3:14 (radio friendly) version with the BGO CD reissue now including the 6:44 version. 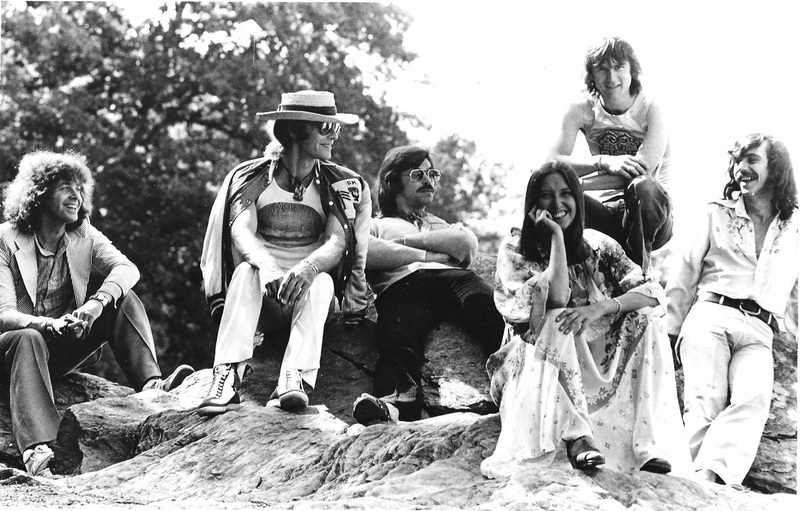 Ian Anderson (Tull) helped with production having got to know the band when Steeleye supported Tull in teh UK & America. Anderson later worked with Maddy extensively on a solo album. It was through Anderson that they reportedly managed to get Bowie, who did not take any payment. March US Tour to support 'Yes' for final week fell through. And then a US Tour which was to come after the Support also fell through. 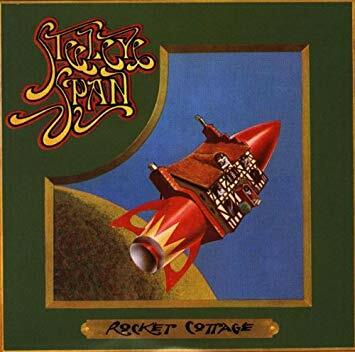 BBC TV Series ' Electric Folk: Steeleye Span". Series of 3 episodes (35 minutes each) of the band playing concerts in Stately homes. 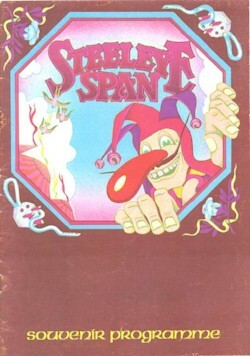 There was a second series in 1975. 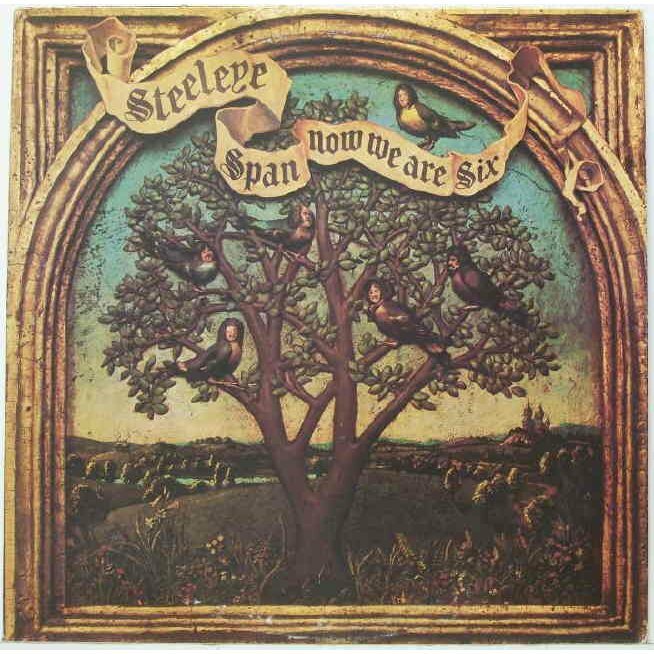 This series helped Steeleye become well known in the UK and remains the best visual record of the band in the 70s, sadly only one show has been shown since, which is Pensurst below. However, at the 2005 Folk Awards a clip was shown from Thoresby Hall and Raby House so they still exist and hopefully will be shown one day. 1/ 20th March: Thoresby Great Hall, Notts. (pictured above) Re-Broadcast in 1975. Audio Bootlegs exist. Gaudete played over the opening titles One Misty Moisty Morning; Hares on the Mountain; Cam Ye O'er Frae France; Alison Gross; Two Magicians; Musical Priest/Silver Spear; Saucy Sailor; Gaudete. 2/ 27th March: Warwick Castle. Never re-broadcast. Rogues in a Nation; Thomas the Rhymer; Drink Down the Moon; Mooncoin Jig; Sheepcrook and Black Dog; Royal Forester. 3/ 3rd April: Penshurst Place: Re-broadcast in 1975 and BBC4 on 21st November 2008 straight after Maddy Prior at the Electric Proms. There appears to be miming in places but apparently the whole episode involved numerous re-takes. Summer is A Coming In; Seven Hundred Elves; Long-a-Growing; Edwin; Morris Tunes with the Albion Morris Men'Little Sir Hugh; Peascod Time. Mummers are masked individuals who paraded the streets dancing or playing games during festivals. But they performed in silence. 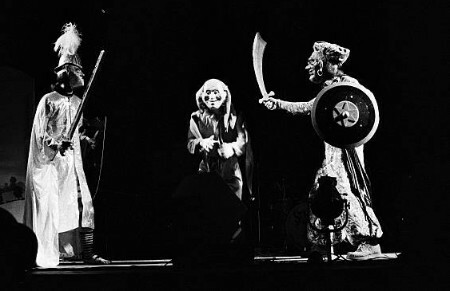 The Steeleye play was about St George who fights an 'infidel' until one is dead, with the loser being reincarnated. The 'play' took around 10 minutes in the set and was written by Tim. A video of it is further down. 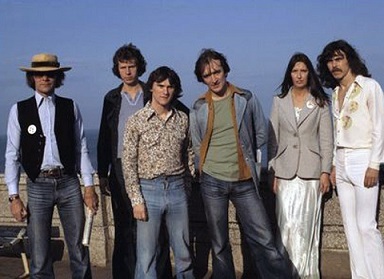 The new album was represented with 4/5 songs in the set, all of which had been introduced in the 'Electric Folk' TV series. 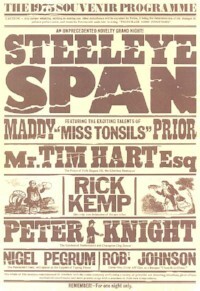 Most of the rest of the set list had also featured in the TV series, including 'Little Sir Hugh' which maybe didn't make the album cut and had to wait until the next album where it does appear. The success of the series seemed to also set the band up for playing in bigger venues. Set list for the tour is based on Newcastle, although '700 Elves' was also in the set list for some venues. I beg Your Leave; The Bride's Favourite-Tansey's Fancy; Alison Gross; Cam Ye O'er Frae France; John Barleycorn; Little Sir Hugh; Drink Down the Moon; Two Magicians; Edwin; Saucy Sailor; Robbery With Violins; 'Pastoral Medley'-Summer Is A-Coming-In - Staines Morris -In Peasecod Time-Remember You're a Womble (Tune); One Misty Moisty Morning; Gaudete; Thomas the Rhymer; The Musical Priest-The Silver Spear. 18th Newcastle City Hall. Set List above. From bootleg (The only Non-USA one available for '74). 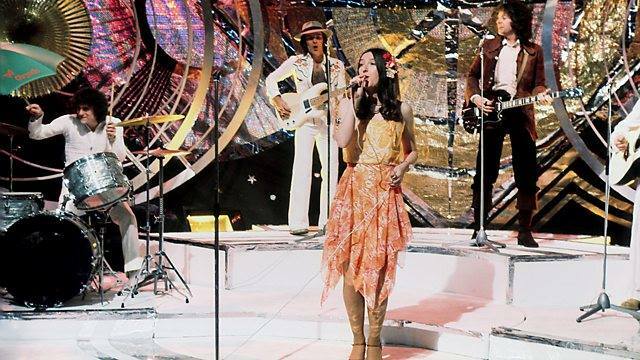 CashBox (US Trade) Newspaper article (15th June): Steeleye have filmed 'ABC-TV In Concert' segments at the Rainbow Theatre, London.. "for showing later this Summer on the "Wide World of Entertainment Series. The Steeleye show will be seen while the group are touring the States". No other details and not sure when this could have been filmed (unless it was a made for TV concert) based on tour dates in 73' & '74. "a week in Holland straight after British tour" per article. 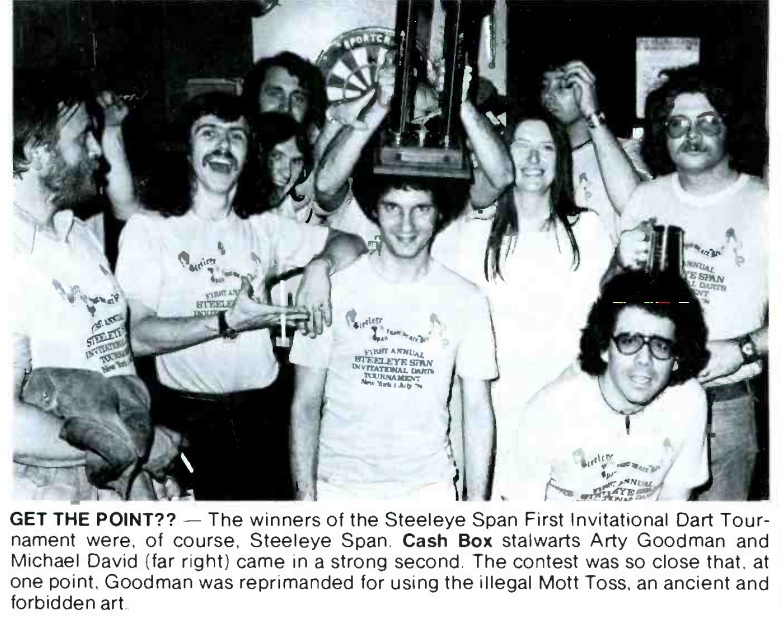 1st July: The US Edition of the 'Steeleye Span Invitational Darts Tournament' ! Held on the tour below! 4th US Tour: Now We Are Six US Tour (7 weeks). 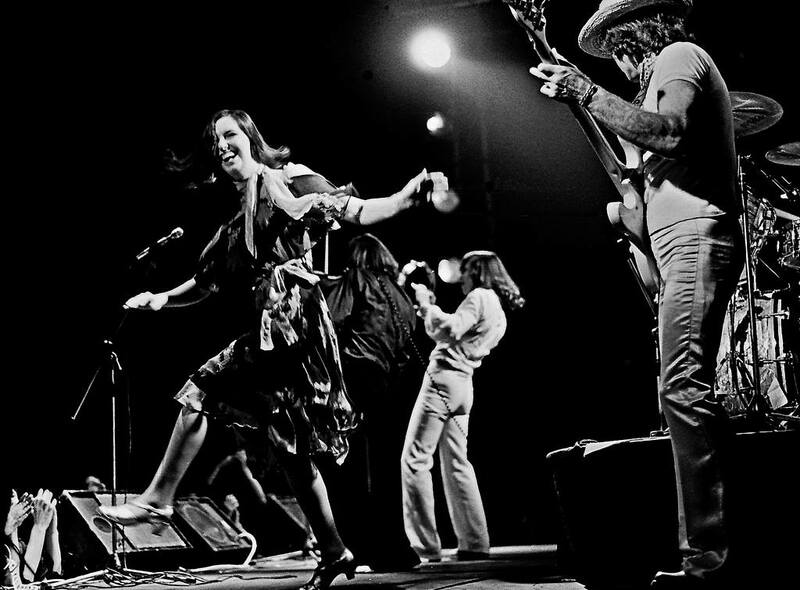 After 'successful' tours in 1973, although noted by Tim in an article that they had cost the band $45,000 , and after a Spring tour was cancelled, the Band return to the US for probably their most successful and longest tour of the US. This time they were mainly headlining, got featured in a number of newspaper articles and had a Press party in NY for the first time, and so were hoping would actually make some money, or at least break even according to Tim, who described the tour as "a real gamble, you lay out a lot of money. If audiences don't like you, you lose. But if you break America, the rewards are much bigger". He said Headlining was the potential difference between $5k fee and $750 from supporting. 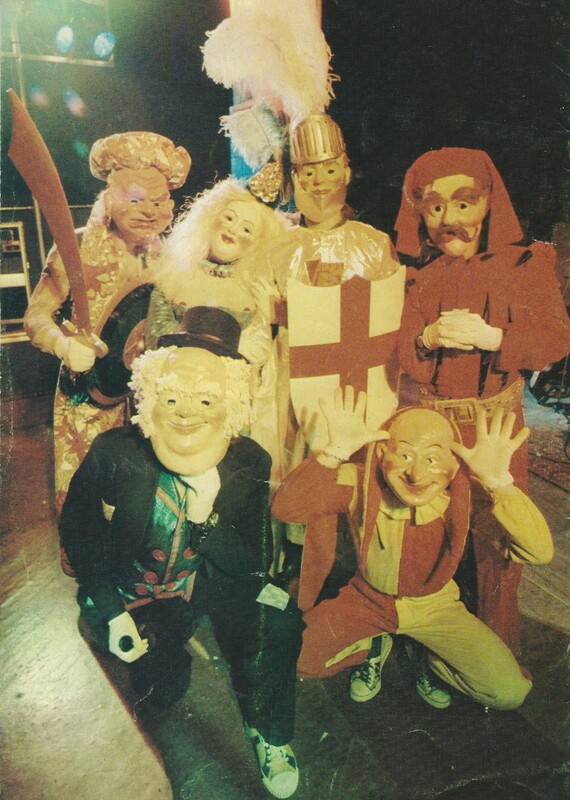 The tour included Mummers Play in some venues. Unfortunately official live recordings of concerts by the Band in the 70's are non existent. Even 'unofficial' recordings are rare and of dubious quality. This tour provides one of the few opportunities (along with Oct 1976 & 1973) to hear the band at their 'peak' via these unofficial recordings. 12th/14th?? Shubert Theatre, Philadelphia. An article mentioned that their first date (and another article on the 18th May one said 14th, and named the theatre so I think is accurate) would be here on 12th. 14th June Stampede Corral, Calgary, Canada.Included James Gang, Goose Creek. I don't think this one happened and was replaced with the concert above but can't be sure. 17th & 18th Performance Center @ The Garage in Harvard Square, Cambridge,MA. $6 tickets. 19th Woolman Ice Rink, Central Park, NY. (Thanks Karl). This part of the 'Schaefer Festival. Steeleye stepped in for the ill John Sebastian and a review said that Steeleye, "acting out a Mummer play in the middle of the set" were "exceptionally entertaining"
21st Academy of Music, Broad and Locust Streets, Phili. 30th Palace Theatre, Providence. Support to King Crimson. 1st July Ebbet's Field, Denver; Bootleg. We Beg Your Leave; Tunes; Alison Gross; Cam Ye; John Barleycorn; Little Sir Hugh; Drink Down the Moon/The Cuckoo; Two Magicians; Robbery with Violins; Summer is a Comin In; Staines Morris; One Misty Moisty Morning; Gaudete; Thomas the Rhymer; The Musicial Priest; Sea Shanties; The Royal Forester; The Mason's Apron. 4th New York, Bottom Line. Early Show; Broadcast on WNYU FM. Off-air recordings are around. 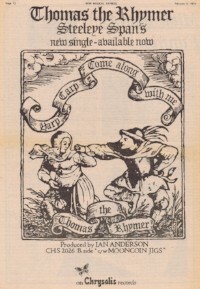 Beg Your Leave; Jigs; Alison Gross; Cam Ye O'er Frae France; John Barleycorn; Little Sir Hugh; Two Magicians; Saucy Sailor; Robbery with Violins; Summer is a Comin In; Staines Morris; One Misty Moisty Morning; Gaudete; Thomas the Rhymer; Jigs; Nautical Medley; Royal Forester; Jigs. 6th Lenox, MA, The Music Inn. MA Part of a 'Twilight Concerts "On the Lawn" Headlined by Doc Watson. 2,500 people. Bootleg (seems to be off-air radio Broadcast). 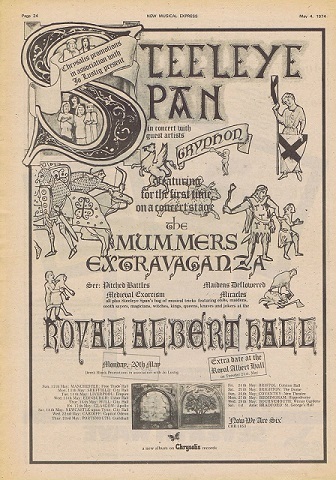 We Beg Your Leave-Tunes; Alison Gross; Cam Ye O'er Frae France; Little Sir Hugh; Two Magicians; Robbery With Violins; Mummers Play (part); Gaudete; Jigs; Royal Forester; The Masons Apron. 16th 'thru' 20th. Ebbets Field, Denver. Dates per advert. Return for a residency. ?? Philadelphia. Bootleg exists from 'WMMR Philly' radio show: The Moonvoin Jig; Long-A-Growing; Cam Ye O'er France; Alison Gross; Two Magicians; Gaudete; Two Magicians; Gaudete. Australian 'Now We are Six' Tour. 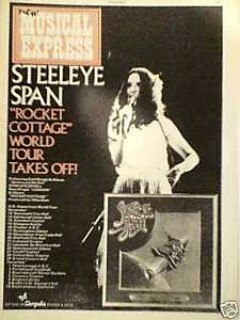 Steeleye's First tour of Australia. Included Mummers Play and Bob was hospitalised at some point on the tour. There was talk about going to Japan after Australia but never seemed to materialise. 12th Festival Theatre, Adelaide. Exerts of this concert was shown on 'GTK' (Australian music TV programme on ABC): Episode 894, aired 20th Aug '74 - 'Gaudete'; Ep. 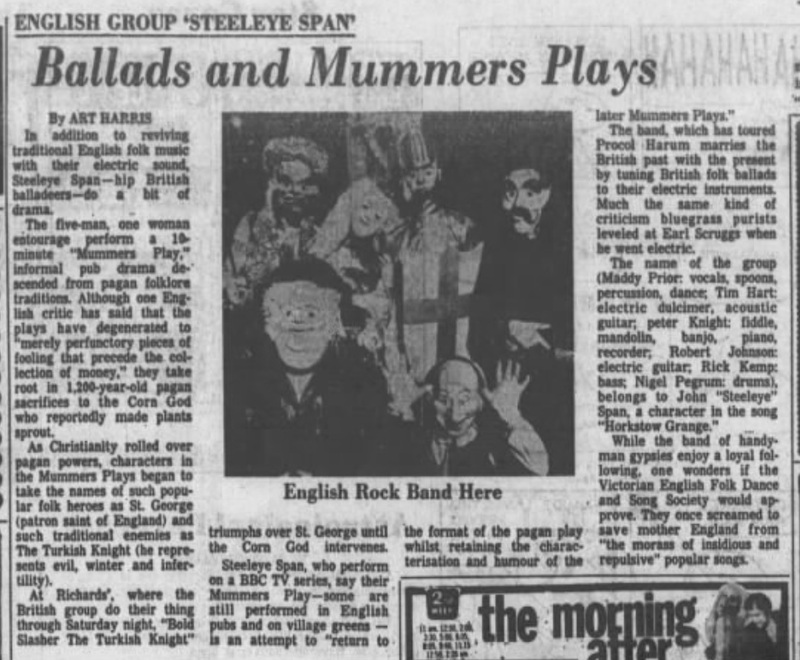 903, 3rd Sept '74 - 'A Mummers Play' (see below); Ep. 949, 25th Nov '74 - 'Two Magicians'; Ep. 925, 14th Oct '74: 'Unknown song'. 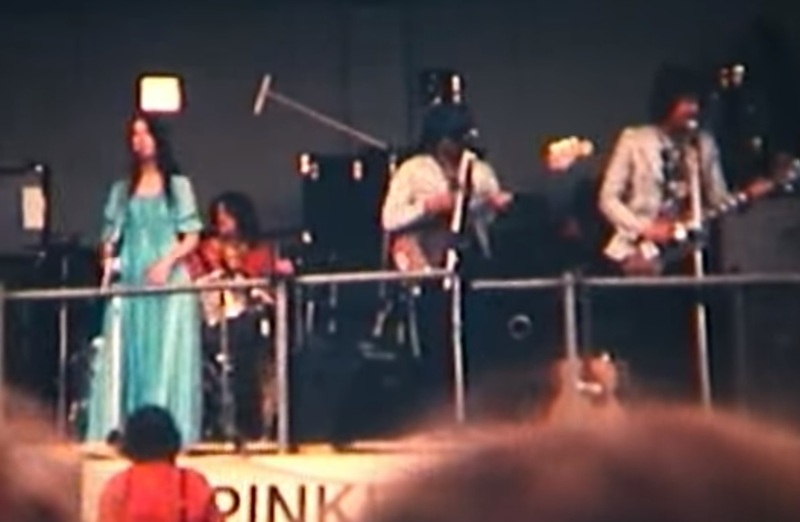 Buster Brown appeared on this same episode and can be found on YouTube which gives hope that this performance, and maybe the whole concert may surface one day. 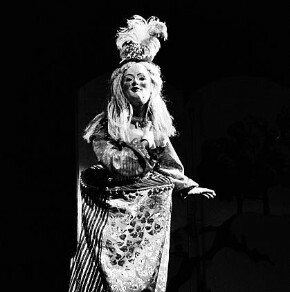 A B&W clip of the Mummers play episode does exist from this concert which is shown below. Recording Sessions for Commoners Crown. Peter Sellers recorded on the 19th October. Some fun working titles for the album were 'Over The Top' and 'Poor But Famous'. British and N Irish tour (29 dates). 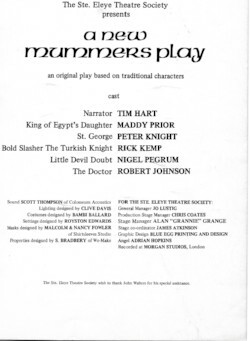 The Mummers Play is performed again, this billed A 'New' Mummers Play'. Support: R Digance. After a long world Tour the band were back in the UK with another big venue tour off the back of the successful Now We are Six album and the Electric Folk TV series. There was a big celebratory concert at the Rainbow Theatre London with Peter Sellers. The concert was recorded but only 'The Wife of Ushers Well' has been released (On 'Original Masters'). 15th Bristol Colston Hall. New York Girls with Peter Sellers recorded again here. 29th London Rainbow Theatre. It was from one these Rainbow shows that 'Wife Of Ushers Well was recorded and included on Original Masters, probably the 28th. Which means that a high quality recording of the whole concert may still exist in the Chrysalis Archives. Was considered to be a major setback in the press. The band however hinted after that they made very little money in 73/74 so perhaps they felt he was not maximising their revenue potential. Given what Tony Secunda managed to achieve within 6 months of starting then there is some merit in this view. The change in management led to a quiet first few months before...... All Around my Hit! Album reached 21 in UK Charts. The single 'New York Girls' featured Peter Sellers on the Ukulele. It is the album that never toured. As it was followed up so soon by 'Hat' then this album never got its own proper run out, although Little Sir Hugh was being played in previous tours and Long Lankin and Demon Lover featured heavily during '75. The intention was to tour it but Jo Lustig leaving meant that a 'quiet' few months was needed while his contract finished. This change in management almost certainly sped up the progress of the next album as the new manager would want to make his mark. Tim Hart in a 'Sounds' Interview (March) said the first few months would be a 'rest period' waiting for the termination of Lustig's contract, which proved to be quite disruptive. Cancelled European Tour. (Jan) They were due to have their first Euro tour but looks like it fell foul of the Jo Lustig removal. Looks like it got moved to June and never took place. Although I did see a listing for a concert in De Lantaren (again), Rotterdam on 30th Jan on that day in a Dutch newspaper archive. Cancelled US Spring Tour. (March) Per cutting due to take place (Written Oct 74) but dd no seem to happen. (5th March New York Philharmonic Hall was due to be first date. and would run for 4 weeks). 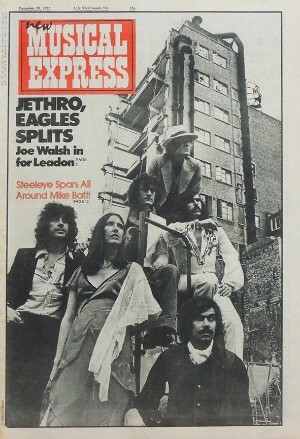 Given again that Jo Lustig left after the article was written, and that the 1976 US tour was billed as 1st for 2 years it seems certain this tour never took place. Cancelled Australian tour? (April) Same as above, per article tour starts in early April straight after late Feb US tour. 26th April Hammersmith, Odeon. Was noted that it was an 'isolated' gig and their first since last Autumns Tour. (I'm guessing the date above was a warm up or maybe even never happened?) Guests of the 'William Younger Tartan Brewery Student National Rock and Folk Contest Finals'. 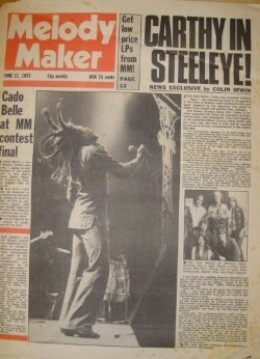 Performed Bachelor's Hall, Long Lankin, Cam Ye O'er Frame France, Encore: Spotted Cow (Reggae). This 'Reggae' version of Spotted Cow' stayed in the set until at least the 2nd series of Electric Folk. Maddy has highlighted as an example of their willingness to experiment over the years - although she later commented ' "We did try a reggae 'Spotted Cow' and we weren't terribly convinced by it, so we stopped doing it." ! Tony helps secure Mike Batt as producer for next album which was seen a major step to potential commercial success with a crossover folk/pop sound. Tim Hart had heard the Wombles album and thought he would be an ideal producer for Steeleye, although the band took some convincing. Filming 2nd Series of 'Electric Folk' . See September below. 7th June: Garden Party 7, Crystal Palace Concert Bowl. 6th July. Blackpool Festival, Football Ground (w. Roy Harper). All Around My Hat almost certainly played for 1st time, depending on the dates of the York and Wellington Concert. Played Bachelor's Hall, Dance With Me and Spotted Cow (Reggae) as well. 12th July Cardiff Castle Charity concert with 10cc, Thin Lizzy. The festival was almost a wash out, although 15,000 did still attend. Apparently it only stopped raining at the start of Steeleye's set! They played All Around my Hat again. However, the audience complained that Steeleye were not loud enough and there were some sound problems. 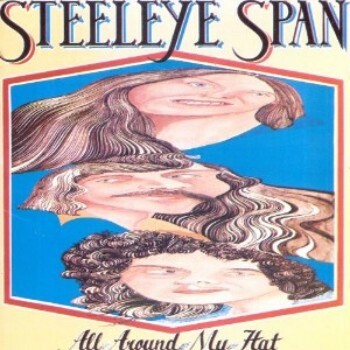 I was working on “All Around My Hat” with Steeleye Span, at the time the "Superwomble" single was released. In those days, to be on Top Of The Pops you had to mime, (it was technically easier for the show if you did, and in any case we Wombles had no option, - we didn’t have mouths!) - but to satisfy the Musicians’ Union you had to remake the entire record the night before your appearance, - in other words you were not allowed to mime to the record itself, but you were allowed to mime to a specially made track for the show. I could spend two pages explaining why, but trust me, that’s how it was. So I’m in Air Studios with Steeleye Span when the message comes through that the Wombles are on Top Of The Pops the following day, with no time to go and make a bloody backing track, - I was busy with Steeleye. 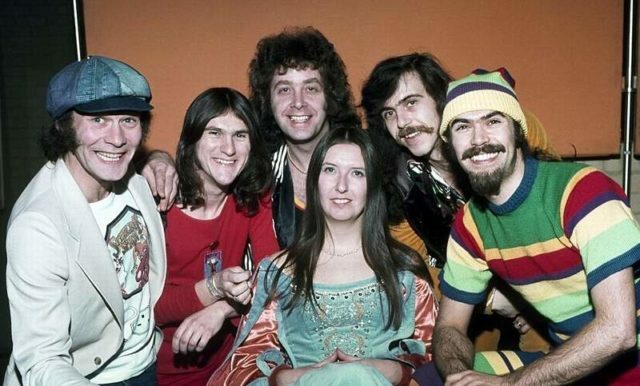 So I ask Steeleye if they’d mind playing the TV remake of “Superwomble", because the bloke from the Musicians’ Union was about to show up and “witness” that it was indeed being remade, and they sportingly agreed to do it. I taught them the track and we played it while the infamous Don Smith from the Musicians’ Union (known, as I have said earlier, as “Doctor Death” because of his miserable demeanour and intransigent attitude) watched from the control room. After the session, Don asked for everybody’s name. “Why do you want them?” I asked. “Because the people who play the track have to be the same people who are on the show tomorrow” says Don. This was a new one on me. But that’s what had to happen. 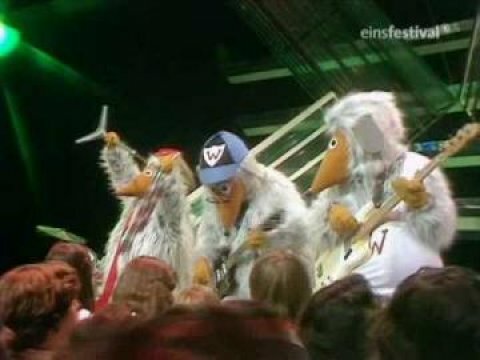 Don left the studio and I sheepishly asked the guys if they’d wear the costumes the next day, and perform “Superwomble” on the show. 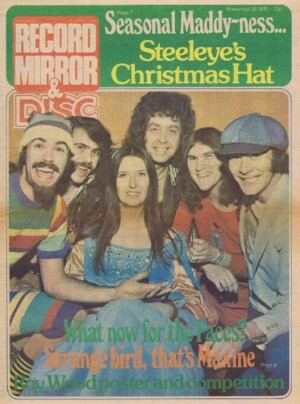 Of course the whole thing would have to be a total secret – it wouldn’t have been cool for a serious band like Steeleye to be caught being the Wombles. They thought it was a fantastic idea, and so we arranged for them to meet the following evening, - the night of the show - at the Kensington Hilton Hotel, get into the costumes and be taken by blacked-out limo to the TV Centre in Wood Lane, five minutes away. We managed to get them in, do the show and then get them out again without anyone realising it had been them inside the Womble costumes. 2nd Australian Tour: 'Play it again Span' . Included Mummers Play. 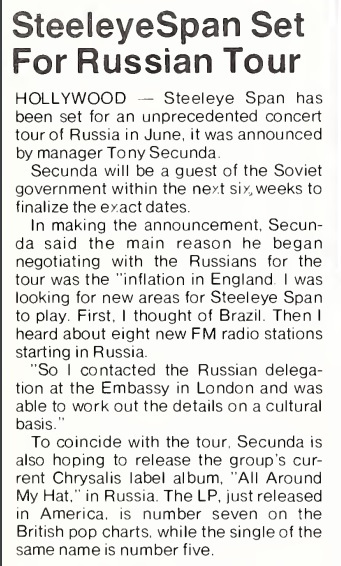 It was on this tour that Tony Secunda caused a 'front page scandal' with an innocent PR stunt. During a Radio interview he offered a competition in which he promised a 'night of love' with any male member of the Group to the winner. The national press picked up the story - and the Group landed in a 'hysterical furore' involving Church, State and police authorities. It was denounced as disgusting and degrading. One editorial advised the Group "to abandon their sordid plan to degrade Australian Womanhood. The Church urged parents not to allow their children to the concert! In the event, embarrassment was saved when the winner, a 22 year old librarian chose Bob as her 'prize' and the outrage turned out to be nothing more sinister than a Champagne dinner at a Sydney Nightclub - and the Group invited along Linda's boyfriend as well. Both said they had a great time. 11th Canberra Theatre. 1,200 crowd. The concert went well but the lack of dancing made Peter shout out " come on you lazy buggers' as one point! 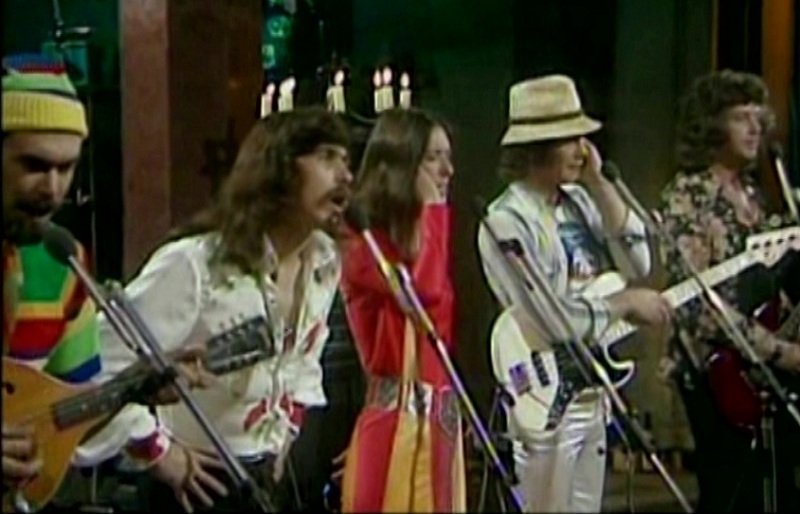 BBC TV: 2nd Series of 'Electric Folk: Steeleye Span. 17th Sept: The New Inn, Gloucester: (Pictured above) Bach Goes Limerick/Devils dream; Demon Lover; Cacgwith Anthem; Ups and Downs; Bachelors Hall; Beautiful Doll; Galtee Farmer. 24th Sept: Rivington Hall Barn, Lancs; I beg your leave; Elf Call; Wife of Ushers Well; Lyke Wake Dirge; Mummers Play (revived just for this show) Dance with me; Sum Waves/Devils Dream. 3rd Oct: EIGHTH ALBUM: All Around My Hat (Chrysalis) . The Album and single that made the band a Household name, The first album produced by Mike Batt who took the band in a 'Folk Pop' direction and into the top ten of the Album and singles charts. Album reached No.7. It was a triumphant mix of folk and pop sensibilities that has never before or since successfully been achieved by any other band. 'All Around My Hat' UK Tour . 6th Glasgow Apollo. 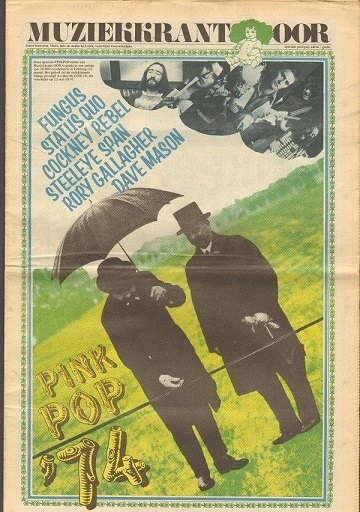 £1.50, up from £1.25 in '74! 28th Hammersmith Odeon - Played Spotted Cow (Reggae) and Blowing Bubbles per Review. 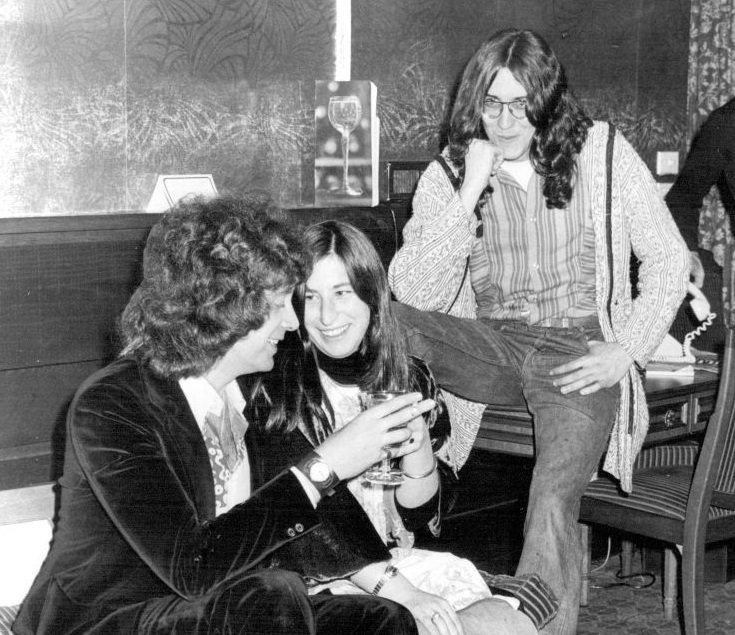 Also Maddy said Bob and Peter have a 'project' on at the moment' which could be the start of King Of Elflands Daughter (Album they completed in '77) as Bob did not get involved in any other significant music projects outside Steeleye apart from this one. 13th Nov: BBC TV: Top of the Pops. 'All Around my Hat'. Episode wiped from the archives. They appeared again (I assume a repeat) on 27th Nov.
15th Nov: All Around My Hat reaches No. 5 on the official UK SINGLES Chart. 19th/20th. Maddy in Brussels Recording with Jethro Tull. 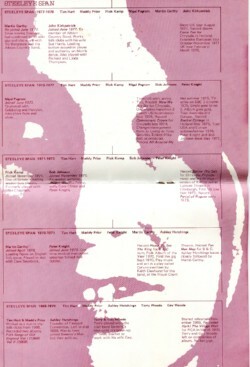 Starts to indicate solo work (along with Bob and Peter's project) that band members had started doing outside the band. And ultimately led them to break up the band for a while why they explored other musical interests. "The Mad, Modern Mummers in spectacular stereophonic, seasonal entertainment, (or is alliteration going out of fashion?) with Maddy Prior, Tim Hart, Robert Johnson, Rick Kemp, Peter Knight, Nigel Pegram as themselves and featuring Stanley Unwin, Rita Webb, Paul Burnett and Tim Burge in a variety of parts." Written by David Mckellar. Devised and produced by Johnny Beerling. Year starts with various TV performances for 'Hat', but the pressure of constant Touring and the heavy promoting of 'All Around My Hat'was starting to tell and follow up singles/Album failed to chart. Music was beginning to change with the Music Press possibly getting 'bored' by folk as it moved away from 'glam' and onto Pub Rock and Punk. Various TV appearances to support 'All Around my Hat' single. In addition to the dates listed there is also a feature/Interview on Steeleye in a Dutch Newspaper in Feb just before this tour. If anyone wants to contact me to read it/translate it then feel free! This followed up single failed to be anywhere near as successful as 'Hat'. This could be when the band started to realise that, commercially at least, they could not get any bigger. 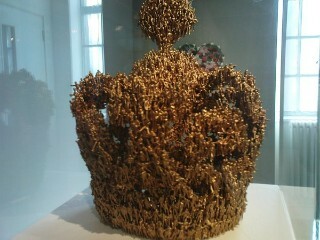 The original Crown made for the album! 17th March Friars at Vale Hall, Aylesbury. With 'Unicorn. The band practised and played (as an encore) 'The Up's and Downs' especially for the concert as the Town is the 'home' of the song. Some interesting articles and pictures about the concert are on this LINK. 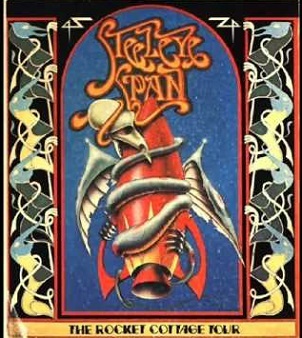 "During late April and May Steeleye Span will play a series of concerts and TV shows in Scandinavia, Holland, Belgium, Germany and France" (Silly Sisters Press Release). Most dates so far are from the Finland leg. 8th May: Groningen, Holland. Listed in newspaper in Holland on this date but not sure if concert that day or next. 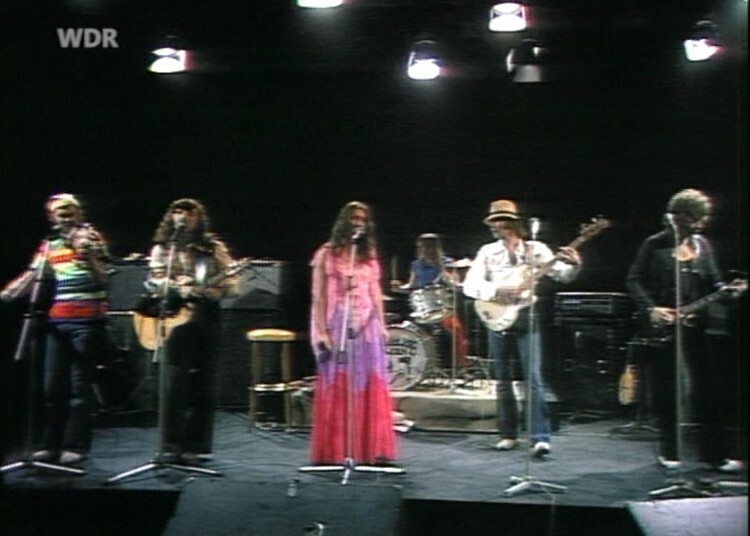 w/c 8th May Steeleye are here for "ConcertHouse show TV and Radio", Stockholm. Rehearsed and recorded Rocket Cottage at Frans Peters Studios, Hilversum, Holland (For Tax reasons). This was the month that the band were meant to be touring Russia but which was cancelled earlier in the year. 20th Newcastle City Hall, with Five Hand Reel. Part of Newcastle Festival. 24th July Heidelberg. 2 songs exist as what sound like an off-air radio broadcast. Hard Times of Old England; Black Jack Davy. Europe tour? Per programme "European tour in September"
24th NINTH ALBUM: Rocket Cottage (Chrysalis). A follow up to All Around My Hat was always going to be difficult. 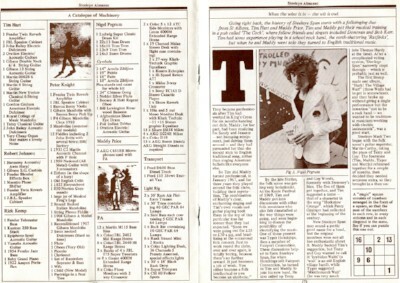 The album is not a Hat clone and quite experimental in places, but the failure to find a single, different style and a sense of it being rushed all meant it did not do well and 'only' got to No.41 in the charts. All the songs are traditional arrangements once again accept for London which, although using bits of traditional lyrics is basically a Rick Kemp composition. The band played a live concert during an afternoon in front of a what appears to be a small audience. They broadcast 'Black Jack Davy' and 'Cam Ye o'er Frae France' on this show. It certainly looks like a longer concert was performed/recorded so maybe the full footage will exist somewhere. It could well be that this date is just the broadcast of a concert recorded earlier in the year, see some Finnish dates in April above when this could have been recorded. Below is the footage of 'Cam Ye' and 'Black Jack Davy', believed to be from that show. A very rare glimpse of the band live at their peak. 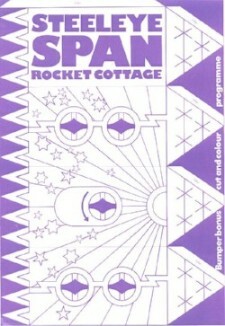 October: 1st part of 'Rocket Cottage' World Tour: USA/CAN. 5th US Tour. 5th US tour in 4 years and the first for 2 years. 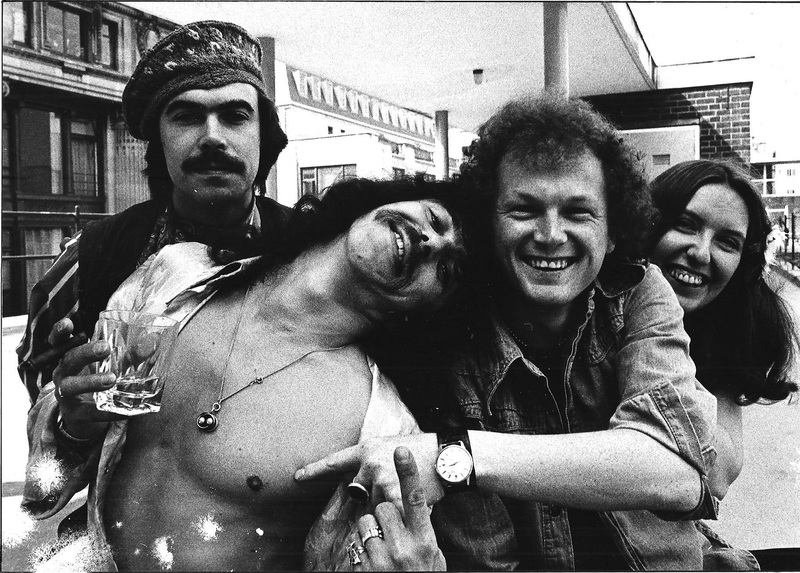 Tim Hart in an article said that the reason for the gap was because they sacked their manager and spent 18 months in legal disputes, which meant no promoter or Label wanted to invest too much money in a US tour. They had to make do with touring Europe. It was a shorter tour than 1974 and seemed to get less press attention, another symptom of the music industry move to newer Rock/Punk music. They were described as 'having been around for a while and producing soft, funky Rock'. 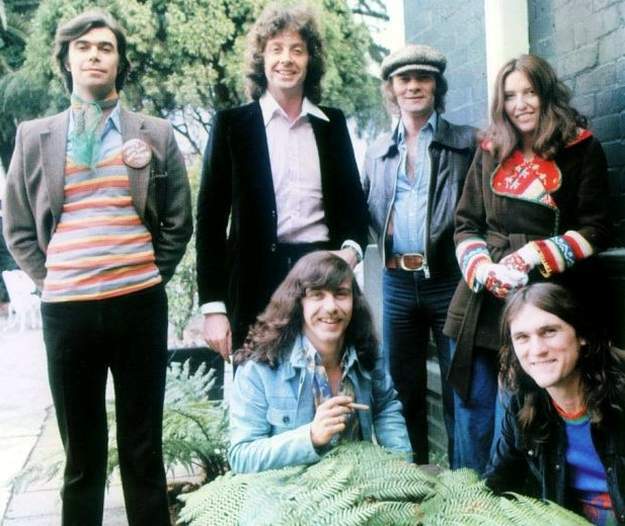 but also as being 'England's premier folk band, far out distancing such groups as Fairport Convention and Pentangle' It does give a rare opportunity to hear the band in the 70s via unofficial recordings some off-air radio broadcasts, but no 'pristine' master recording has surfaced. All dates confirmed by a Trade Newspaper tour advert. 4th-7th Oct. Boarding House, San Francisco. Featured Black Jack Davy; The Brown Girl; Sir James the Rose; London; Bosnian Hornpipe; I'm forever blowing Bubbles' ; Cam ye; Gaudete; Royal Forester; medley of jigs. 18th & 19th 'Quiet Knight' Club, Chicago. WXRT Chicago FM Concert . According to label on an off-air recording it's believed that the radio broadcast was from this gig. It's an interesting little venue, click on it's name to read more. I think it was broadcast 28th Nov '76, Thanks Lars for all this info! Gaudete; Black Jack Davy; Hard Times of England; 12 Witches; Orfeo/Nathan's Reel; Wife of Ushers Well; Brown Girl; Cam Ye O'er Frae France'; Tunes: The Black Joke-Sligo Maid; All Around My Hat; Jigs. 26th Lisner Theatre, Washington: Bootleg: London;Orfeo; Hard Times of Old England; Black Jack Davy; Wife of Ushers Well; Gaudete; 12 Witches; The Brown Girl; I'm forever Blowing Bubbles; Cam Ye O'er Frae France' Sir James the Rose; Devil's Dream; Royal Forester; The Black Joke/Sligo Maid; All Around My Hat; The Mason's Apron. 29th-31st Oct (3 dates). Bottom Line, NYC with Ken Bloom. Broadcast on Radio, good bootlegs available. Devil's Dream, Royal Forester, Orfeo/Nathan's Reel, Gaudete, London, Brown Girl, Song For Germany, Wife Of Ushers Well, All Around My Hat, Cam Ye, Black Joke/Sligo Maid, Hard Times Of Old England, Bosnian Hornpipes, Mason's Apron. Whilst the Album was not performing well, the band was still able to fill out big UK concert halls and were still getting press attention. At the Hammersmith Gig an entire nights takings, £8,500 was stuffed down through the ceiling and given away to the audience as a publicity stunt, which worked as it made many papers, including the Daily Mirror, page 3. They were going to repeat it the next night but Council refused. 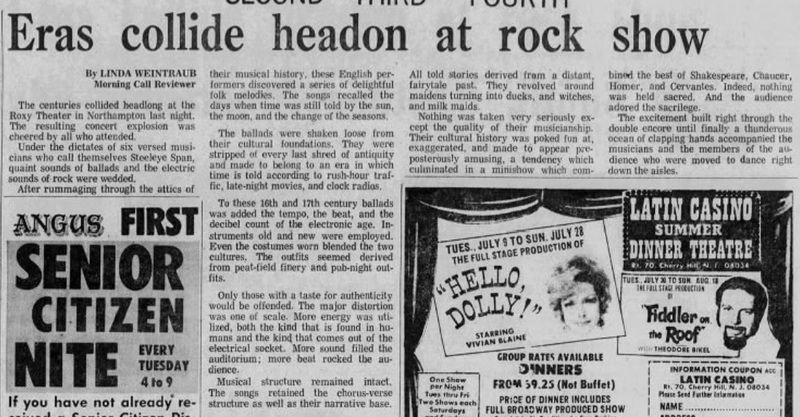 Interestingly in one newspaper article it said that one of the concerts on this tour was to be filmed by the BBC with the intention of showing 'a one hour special' in the new year. Obviously either the filming or the showing never happened. The tour opened with 'London' and mainly tracks from 'Hat' and Rocket Cottage. 15th Glasgow Apollo. With martin Simpson. 24th London Hammersmith. Crowd 4,000. See above. 25th London Hammersmith. 2nd date added after virtual sell out on the 24th concert..
As1976 draws to a close we have seen the last time the 'Classic Era' Steeleye line up will play in the 70's and as a full time band in the public eye. This line up reform in 1980 but the music landscape and the members themselves will have all moved on to a new post punk music/70's Rock world. Band had a pre-planned "6 months off" after so many years of recording and touring. Tim went to Norway, Nigel worked on his record label, Maddy 'disappeared' to the Lake District whilst Peter and Bob worked on their new concept album. "For the record, Bob and I didn’t leave Steeleye to record ‘Elfland’. In the true nature of band behaviour, Maddy announced that she was leaving, and Rick said that he would leave too. Bob and I thought that we might as well go in that case, and so we did, but Rick and Maddy didn’t. That sort of thing is typical of how things work in bands. It’s all normal stuff. Publicly different reasons were given, because the truth can work against bums on seats. But the truth is always more interesting than false declarations. By that time I had had enough anyway. With hits and success came TV cameras, vanity and everything that has nothing to do with music." 28th May. 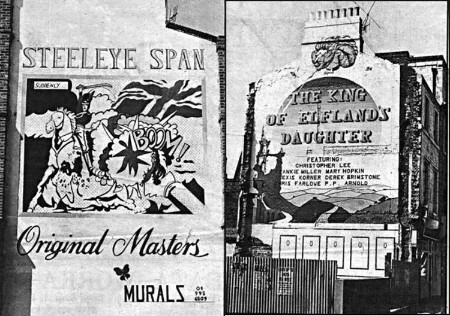 Steeleye Span Murals appear, painted in Shephards Bush and Opposite Kensington Hilton. Martin Carthy (guitar) re-joins the band. Front page news. Release of 'Original Masters', a double album collection. A notable release mainly because it used up another (actually Two!) of the '10 album contract' that the band had signed up to with Chrysalis, an indication that the new line up was not a long term plan (see below). The album contained the first release of 'Bonny Moorhen' from 'Parcel of Rogues' sessions and a live version of 'The Wife Of Usher's Well', both of which probably ticked the contractual box for it to be included in the 10. Release of 'The King Of Elflands Daughter' by Peter Knight and Bob Johnson (Chrysalis). Based on an original Lord Dunsay novel. 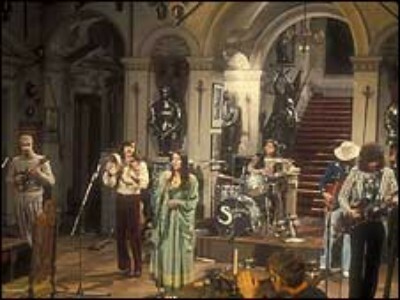 The Album features guest appearances by Mary Hopkin, Frankie Miller and Alexis Korner, as well as Christopher Lee narrating. It was clear, at least internally, that this line up would be temporary and mainly to finish commitments regarding Albums and Tours. 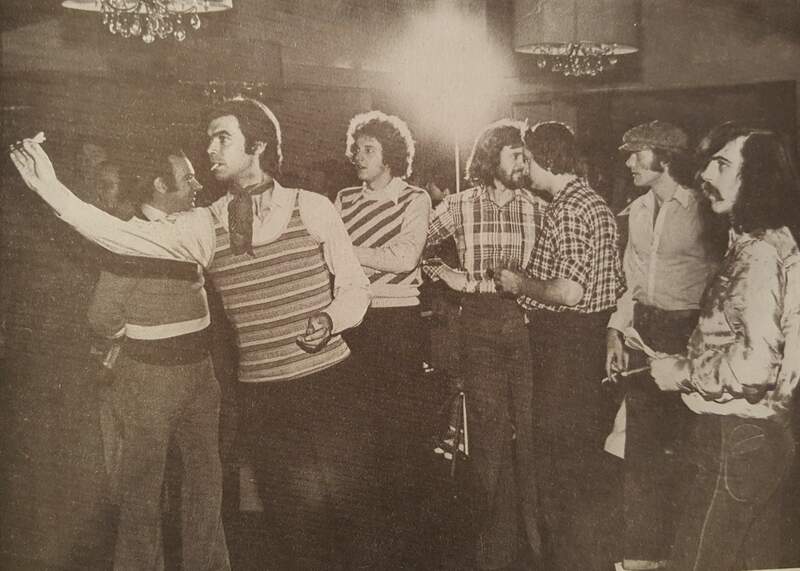 With Maddy having released a solo album, Bob and Peter leaving and the other members finding new interests, it meant the band had probably come to its natural end. Maddy had had enough, she said they were 'worn out'. Martin and John were invited in with a clear intention to just finish commitments, they had no plans to be in any band long. Externally it was hoped the Band would continue to conquer America with a more traditional based approach. As Martin said: "I think it's going to be more folkie, closer to Ashley Hutchings' original vision of the band. I mean, if they'd wanted to continue as a rock band, they wouldn't have asked John and I to join. We both speak a folkie language and we'll be doing the sort of stuff John and I know best." This effectively meant the end of US Tours and any chance of commercial success. A fitting 'folkie' end to what was originally an Electric Folk band. The band changes meant a cancelled Irish tour (14th - 18th) in addition to planned Australian and American tours all being cancelled. It showed that this line up really was only going to fulfil its commitments to the record company. An RM article at the time said the cancelling of the tours was due to making time for Band Rehearsals. Storm Force 10 recorded in Holland in the run up to the European tour that they were embarking on. The Album was recorded in a matter of weeks. 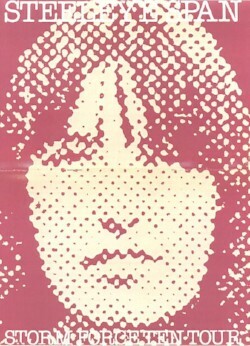 The Board Head Carol single, which does not appear on the Album was recorded in Holland during the tour. EU Tour. 6 countries in 4 weeks. 14th Ancien Belgigue, Brussells. Encore of 'Down in the Valley to Pray"
With contractual arrangements to fill and with Martin Carthy and John Kirkpatrick in the band, along with Mike Batt moving on, then this, the 10th album inevitably takes a turn towards the more traditional 'Electric Folk / Dance' feel. But this was against the tide of both popular music and a move away from the sound that went down so well in America. It was recorded quickly with very little post production or over dubbing. With only 8 tracks its unlikely there any outtakes that will surface. It failed to chart, the first since Ten Man Mop. 1.Awake Awake 2.Sweep, Chimney Sweep 3.The Wife of the Soldier 4.The Victory 5.The Black Freighter 6.Some Rival 7.Treadmill Song 8.Seventeen Come Sunday. 16th Grosvenor Hall, Belfast. Encore was Rave On and a 2nd encore was needed and they did 'Down in the Valley' with just a tambourine for accompaniment. 18th November Dublin. 1,700 fans. reviewed in NME. False Knight on the Road; Awake Awake; Black Freighter; Cam Ye O'er Frae France; Boards Head Carol; The Treadmill Song; The Victory; Athol Highlander/Blue Bonnets; The Maid and the Palmer; 17 Come Sunday; Encore: Rave On. 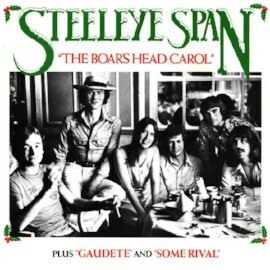 SINGLE: Boars Head Carol (Gaudete/Some Rival). An attempt at another Christmas hit, no doubt under more pressure from Chrysalis. A secular Carol, in this case arranged by John Kirkpatrick. It has continued to be sung by Maddy with the Carnival Band and solo. It was recorded in Holland back in November whilst on tour. Does not appear on Storm Force 10 or Live at Last but now appears on various collections. 10th Amnesty International Rally, London, Played at end of rally starting at 4:40 following inter-denominational Carol singing. 12th Dec: Passage 44, Brussels, Belgium. Broadcast on BRT2 Radio (a few days later). 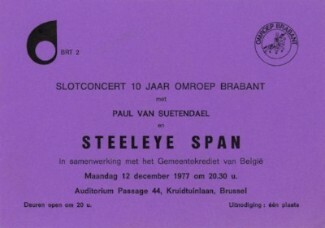 Support act Paul van Suetendael. 'Down in the Valley' played as encore and set included the new single, 'The Boar's Head Carol' (Thanks Johan for all information on this concert!!) as well as the previously unheard song 'Sweet Swansea' as part of a 'Prison' Medley with 'The Treadmill Song'. It was a special one off concert organised by the above Radio Station for their 10th Birthday. It was a late decision to organise and they Radio went through a lot of trouble to get it organised in time. 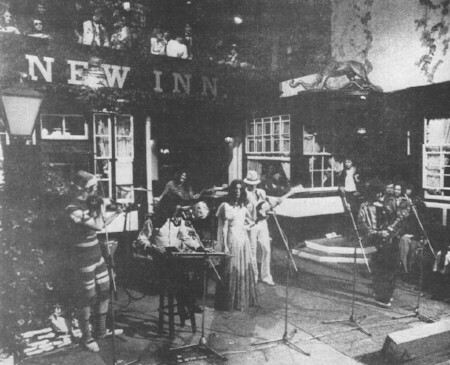 Steeleye was possibly chosen because the Station's folk programme had the 'Mooncoin Jig' as their opening tune. Luckily they did as it provides a very rare opportunity to hear this line up live apart from the 'Live at Last' Album. Interestingly, as has been reported in the press around this time, the audience once again called for 'All Around My Hat' at the encore and Maddy has to explain that 'the Band don't know that one'! 21st ish: Officially announced that Band would break up after the Tour. 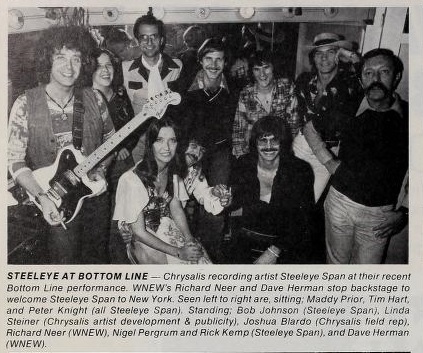 As discussed above, by this time it was not really a surprise as most of the members had various solo commitments planned and the band had completed the 10 album contract they had with Chrysalis. In January Maddy Prior started working with Ian Anderson (Jethro Tull) on her first solo album which would be released by Chrysalis. UK 'Farewell' Tour (31 dates). 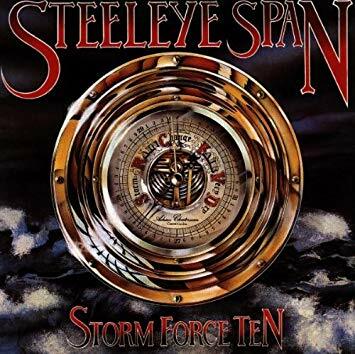 Officially its the 'Storm Force Ten' Tour. Support: Tannahil Weavers (part of the tour). 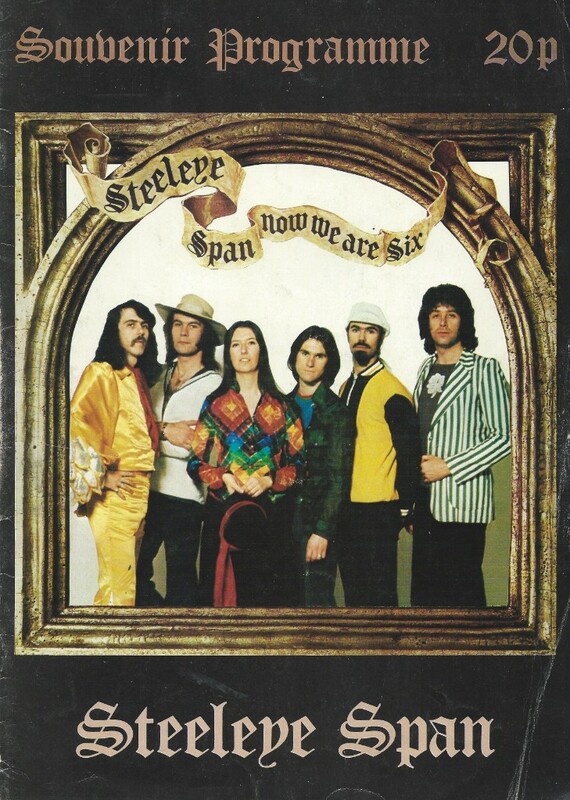 In the programme Tim Hart remarks that "the problem with Steeleye is that we've done it all"
26th Glasgow Apollo. £1.50. No change from '75. Maddy Prior Solo Album: 'Woman in the Wings' (Chrysalis). plus UK Tour. Maddy's first proper solo album has most of Jethro Tull playing on it and Ian Anderson producing it, a relationship that goes back to when Steeleye supported Tull in America. Plus Tim Hart was Maddy's manager. The desire to do a solo album would have been one of the many contributing factors to the band breaking up. However, the Tour to accompany it was described as a 'disastrous' , which must refer to ticket sales. The possible future implications of this are discussed below. Single: Rag Doll (Saucy Sailor) See Live at Last below for details. 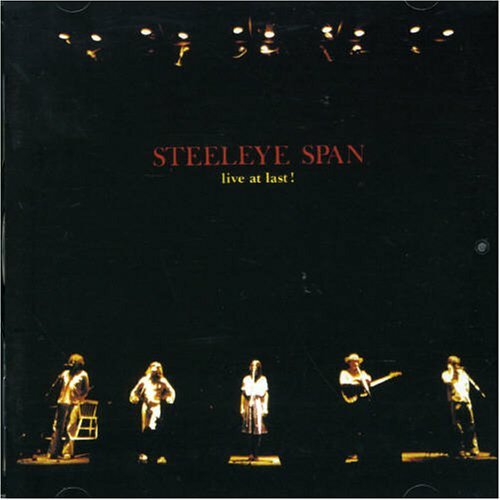 Tim Hart publishes a 'booklet', written by Robin Denselow, called 'The Complete Steeleye Span' which is a great written history of the Band in Tim's words. He says that they had got through 724 gigs, 3 managers, 3 record companies, 1 gold, 4 silver albums. Tours of Europe, Australia & America. I have not found 724 gigs yet in this period but I'm getting close! The best place to read it is on the Chris Kellett archive website HERE. Recorded on the 7th March on the Farewell Tour. 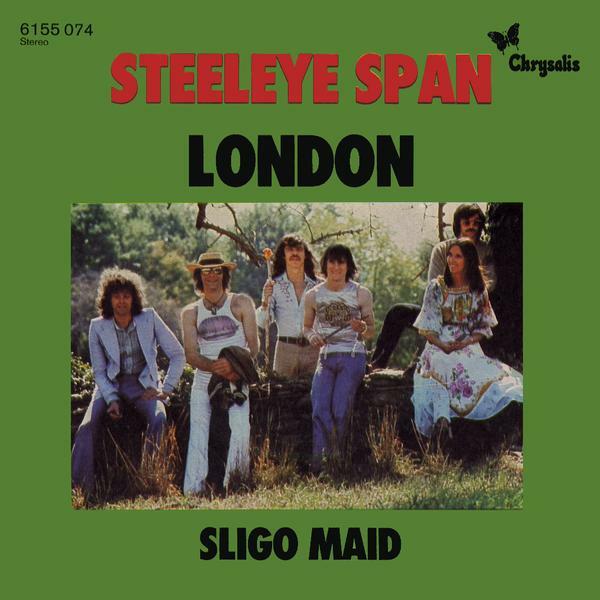 With so many new tracks it is only fair to include this in any main Steeleye Discography. 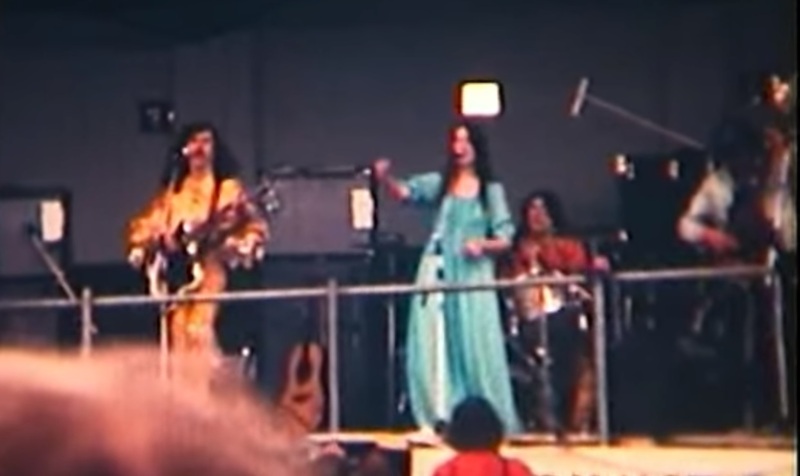 The US release dropped the very English Morris Dance, 'Bonnets So Blue' and replaced it with a studio recording of 'Rag Doll' which would have been a more familiar song to US fans who saw them live in 73-76. 'Rag Doll' was recorded in 1972 while the Band was touring the US. it included Session drummer 'Hal Blaine'. It was released as a single in August '78 in the UK and has appeared on a few collections since. 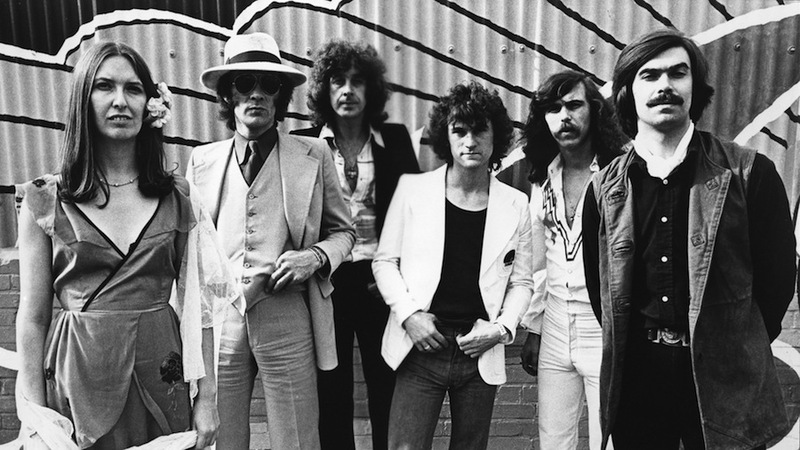 Recorded with a different set of musicians to the first solo album, but again featuring original compositions, and now heavily featuring new husband Rick Kemp, this second Album, hot on the heels of Woman in the Wings, was clearly not a success in terms of sales, at least not in the eyes of the Record Label. Off the back of this, and the unsuccessful tour Chrysalis dropped Maddy as a solo artist in 1979. Maybe they had agreed a two album deal initially. This bad news can only helped sow the seeds for the 1980 Reunion of Steeleye Span. 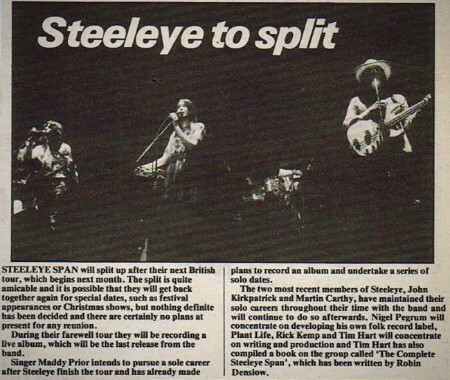 Although Maddy continued to tour and record as a solo artist, initially as the 'Maddy Prior Band' in the early 80's, there is probably no doubt that if these first two albums had been successful, and had Tim's album also been successful, then the chances of a Steeleye return would have been lower. Tim's first solo album was all original songs apart from 'Come to My Window'. It featured Nigel Pegrum on drums, plus Rick Kemp on a couple of tracks and Maddy Backing Vocals. How serious an attempt at a solo career this was is not clear but Tim said the Record Label wanted him to do it, so he did. It is hard to measure whether it was 'successful' but in pure sales terms, probably unlikely given the music tastes of the time.